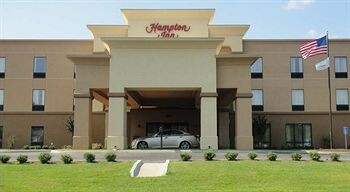 Property Location Located in Ozark, Hampton Inn Ozark is convenient to Ozark Chamber of Commerce and Ozark City Hall. This hotel is within the region of Eagle Stadium and Silver Wings Golf Course.Rooms Make yourself at home in one of the guestrooms featuring microwaves and minibars. Bathrooms with bathtubs are provided.Dining Quench your thirst with your favorite drink at a bar/lounge. A complimentary hot/cold buffet breakfast is included.Business, Other Amenities Featured amenities include a business center, express check-out, and a safe deposit box at the front desk. Free self parking is available onsite.